Arjan's Haze #1 is the result of crossing G13 and Haze, a mostly Sativa strain that grows extremely vigorous and stretches considerably when the photoperiod is switched to bloom. 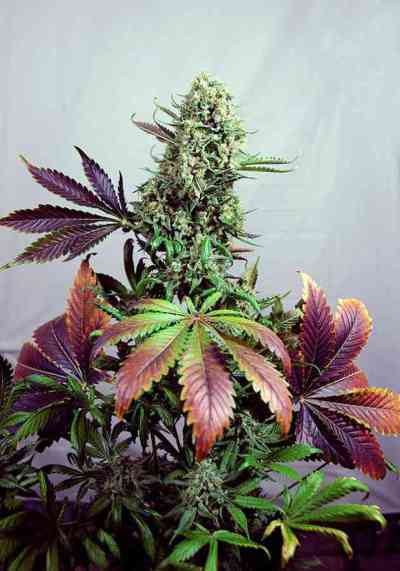 Thus, using training and pruning techniques (LST, SCROG, cropping) is advised especially in indoor grow rooms, where it needs around 11 weeks to produce up to 900gr/m2. Outside, it is ready bu the third week of October in the northern hemisphere, being ideal for equatorial and tropical areas. Due to its high psychoactivity, Arjan's Haze #1 is only recommended for experienced users. The effect is very fast and long lasting, being efficient to treat pain and stimulate appetite. The smell and taste are spicy and minty, typical of Sativa genetics.